Jensen Bowers is proud to announce that our Quality, Safety & Environmental (QSE) systems are now independently certified as being compliant with the relevant International Organisation for Standardisation (ISO) and AS/NZS standards; Quality ISO 9001, Health & Safety AS/NZS 4801 and Environmental ISO 14001. Dedicated to providing the highest quality service with no compromise on workplace health & safety or environmental harm, Jensen Bowers has developed an industry leading Integrated Management System (IMS) that controls and delivers continuous improvement to ensure the highest standards in QSE practices. With an advanced QSE management system, fundamental to the efficient administration and operation of the company, our QSE system provides consistent and quality delivery in a safe and sustainable manner, thereby enhancing project outcomes and decreasing risk. Our philosophy is to ensure statutory compliance is met as a minimum and that best practice is achieved as a routine standard. The dedication of our management team and staff ensures commitment to ‘making a difference’ transgresses all our business activities. With the relevant experience, technical knowledge and proven track record to undertake the most complex surveying, planning and development advisory assignments, Jensen Bowers delivers outcomes designed to exceed client expectation. 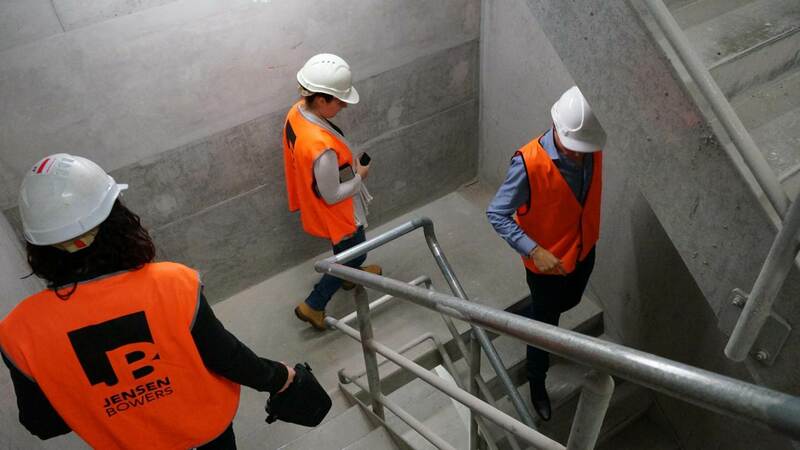 Jensen Bowers are also accredited RiskSMART and SealSMART consultants in Brisbane and Logan and have achieved many other quality, safety and environmental prequalifications. Feel free to contact either Mark Edwards, Business Operations Manager, or Tony Evans, Managing Director, on 07 3852 1771 or by email to discuss your business needs.